At the end of the day, marketing is all about that sweet ROI. The sad reality is that less than 2% of the people that visited your site for the first time convert into a sale. What about the rest 98%? For them, you can use two approaches to reignite the connection. Those are remarketing and retargeting. Both are practices which are based on reaching out to people that have visited your site before. The goal, of course, is to get them on the right path toward conversion. Remarketing vs retargeting – what’s the difference? Both concepts are leading to the same goal. But, the path leading to the said goal is very different. So, here’s how each works. It’s all about reaching the target audience. This is the general truth for digital marketing, and a prayer each marketer says before sleep. No matter what you do, or which platform you use for your marketing efforts. Reaching the right people is always the final goal of the strategy. The sad reality is that most of the people that land on one of your pages don’t really convert. Both retargeting and remarketing approach these customers that deviated from the funnel. But, this isn’t at random, far from it. You can’t just use these practices to reach all 98% that didn’t convert. With retargeting, theoretically, you can. But, we digress. We first need to make the difference between the two. Time to settle the score once and for all – remarketing isn’t the same as retargeting. Retargeting isn’t a part of remarketing. The misunderstanding comes from big marketing platforms merging the two terms together. Of course, they would, who wouldn’t want to do both through the coveted Google Ads? Big G said, “let’s name retargeting as remarketing, and let people think they’re doing both.” And, it worked for people that didn’t know the difference. Somewhere in the matrix, Google’s algorithm is bathing in that sweet PPC money. It’s laughing at those directing their whole re-engagement money toward remarketing in Ads. Without actually doing remarketing. TL;DR – Google named retargeting remarketing and everyone fell for it. So, How to Do Remarketing? 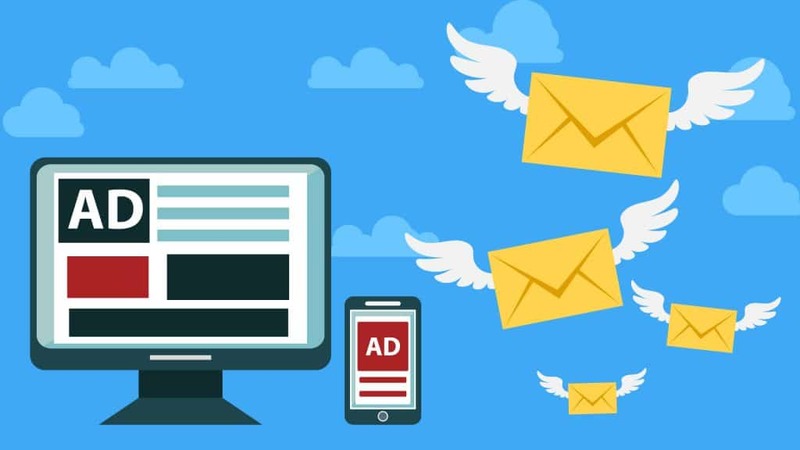 Remarketing is all about creating email campaigns that engage customers in their mailboxes. That’s putting it sweet and simple. The fact that emails, as a marketing channel, are still popular speaks volumes. It’s because they are effective. Most of us have received an email just like this. You go on your favorite shopping site and put a bunch of poop in the basket. Then, you change your mind, and you abandon the cart. So, your favorite shopping site reminds you in this fact in the most personal and politest way. They have an automated campaign that sends these emails to EVERYONE that abandons a cart. How many newsletters have you opted in for? Lots, are we right? Newsletters are remarketing 101. For the modest price of your email address, you get quality content. And, they have an automated campaign that starts sending you informational emails. A bargain, isn’t it? After some point, they know you’re ready. You’ve been fanatically reading the content they’ve been sending. And, you haven’t unsubscribed from the newsletter. So, they’ll start throwing in the odd promotional email. Eventually, some of the people cave in and make a purchase. Boom, a successful remarketing campaign. They’ll throw in the odd discount limited time awesome once-in-a-lifetime offer too. People love being treated like they are special. These types of emails do just that – they connect with the audience on a personal level. A well-optimized email remarketing campaign knows what you like. And, you’ll receive emails based on what you like from the CEO of the company themselves! Wow, time to do a purchase! Retargeting, or what Big G calls “remarketing” (sigh), is displaying targeted ads on the internet. The purpose, of course, is to make as many of that 98 % come back to the website and convert. The main actor here is the infamous “cookies” the GDRP hates so much. Don’t get us wrong. We love cookies. They are delicious. Yea, not that type of cookies. We’re talking about website cookies, or “magical cookies” as their real name is. By clicking on that “I Accept” button, you agree for the website to put cookies on your browser. Cookies are text files that track your behavior on the website. There’s nothing wrong here. Cookies are actually required for a website to function properly. What these cookies do is build a profile of everyone based on every search they do across the web. On social media, first-party cookies work the same as third-party cookies! With the help of these cookies, Facebook, Google, Bing, Twitter, Instagram, and every other marketing platform have a ginormous database of users. They know their interests, their habits, what they’re planning to do. They know everything. To some, this is some conspiracy-theory-level scary stuff. Direct retargeting uses the first-party cookies. Each time a user goes on your page, they get your cookies in their browser. In the case they don’t convert, the cookie is still in the browser. Now, you have those tracking codes we mentioned before embedded in your page. Google, for example, knows who left your page. It combines their third-party cookies with your first-party cookies. This gives the algorithm the exact profile of any user on your site. And, you can use Google Ads to show your ads to these users across the web. What Google does with your website happens with every page that allows third-party cookies. So, these advertising platforms know who went where and what they liked. And, you can target people that are interested in a product or service that you have but haven’t visited your website. It’s simple, do both. Although they have the same goal, they’re completely different. As we said before, the goal isn’t to target all 98% percent that didn’t initially convert. That’s not possible. But, these two practices do enable you to target people that are most likely to. When you compare both approaches, the differences are more than clear. Even though they lead to the same goals, the paths are where it counts. And, when it comes to increasing the number of conversions, you should use every possible way. Remarketing will help you reach the audience that has already visited your site via email campaigns. Retargeting will help you reach the audience that has already visited your site or has shown interest in a product like yours. This is done through paid advertising.